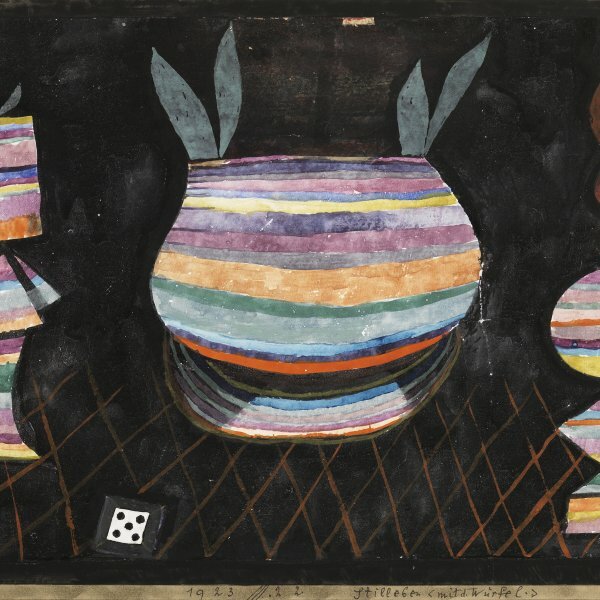 Paul Klee is a hard-to-place artist, whose work cannot be classified under any particular trend or school. During his youth he was in contact with the intellectual milieu of German Expressionism and his subsequent work came close to geometric abstraction and Surrealism at various times. 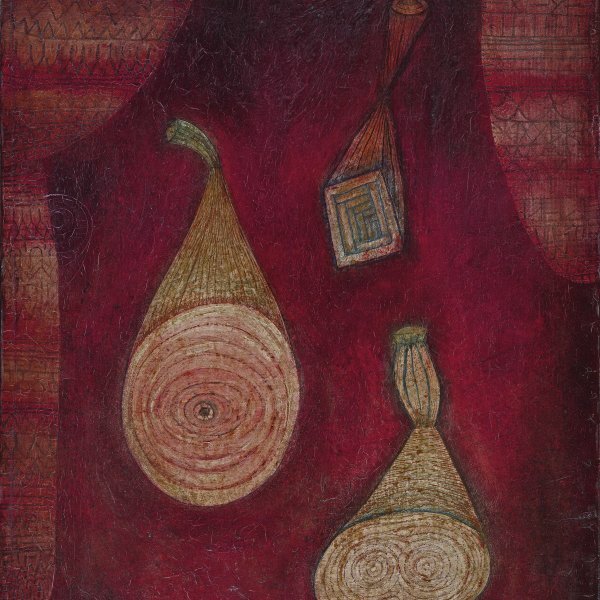 Klee was born near Berne into a family of musicians.Music was fundamental to both his life and his oeuvre. He trained as an artist in Munich, where he was involved with Der Blaue Reiter (The Blue Rider) together with Wassily Kandinsky, Franz Marc, August Macke and Alexej von Jawlensky. In the city, then one of the most advanced centres of art, he developed an interest in the international avant-garde which drove him to pay the de rigueur visit to Paris, where he was particularly impressed by the work of Robert Delaunay. In 1914 he travelled to Tunisia with Macke and Louis Moilliet. The light of North Africa led him to discover colour, which became the main subject of his artistic investigations thereafter. He was conscripted during the war but carried on painting (particularly watercolours) in a luminous style and with a certain Expressionistic air. From 1921 to 1931 he lectured at the Bauhaus, first in Weimar and later in Dessau. These were the most fruitful years in his artistic career, as his pictorial language became firmly established and his work began to be known. Despite his independent streak, the constructive spirit of the Bauhaus influenced his output, particularly during the Dessau period. In 1928 he travelled to Egypt, whose scenery inspired the striated compositions which were related to his theory of horizontal and vertical structures, and led him to incorporate hieroglyphics and inscriptions into his painting. From 1931 to 1933 he lived in Düsseldorf, where he worked as a lecturer at the Akademie. Following the arrival of Nazism and the branding of his art as “degenerate, ” he had to flee Germany and return to Berne, where he spent the last years of his life. Despite his pessimism and physical weakness as a result of a serious illness he suffered in 1935, the final period in his life was one of unprecedented creative intensity. Then, more than ever, his painting achieved a perfect unity between life and art.